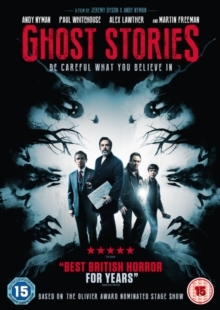 Martin Freeman stars in this British horror co-written and directed by Andy Nyman and Jeremy Dyson. The film follows Phil Goodman (Nyman), a professor of psychology who receives a letter from his old parapsychologist mentor who had gone missing 15 years earlier. A renowned sceptic, Goodman is tasked with investigating three unsolved cases of the paranormal which have left his mentor chilled and shaken. Setting off to begin his investigation, Goodman meets three people terrorised by mysterious ghostly sightings including a factory security guard, a confused teenager and a haunted businessman.